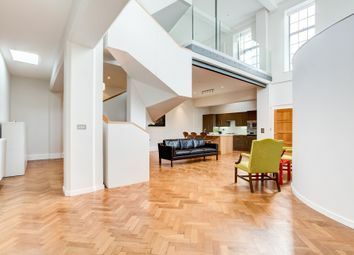 Stunning contemporary designed home forming part of the impressive Bourne Hall, a former Wesleyan Church. 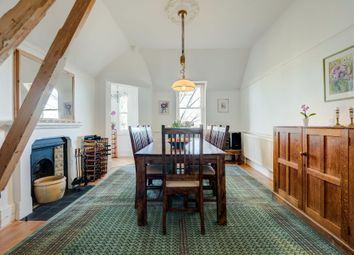 Situated at the heart of the historic Hastings old town, arranged over three striking floors and offering over 1900Sqft of versatile space as well as three balconies. 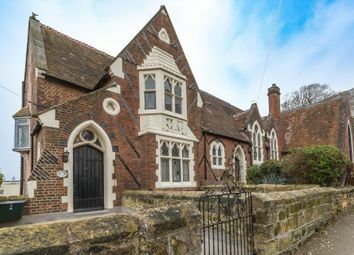 A stunning and unique Grade II Listed family Victorian Home forming part of 'The Old Penny School House'. Situated in a conservation area this property offers a wealth of original features, sea views, south facing garden, drive with gated access and detached garage. A Grade II Listed home benefiting from three bedrooms, open plan kitchen/ diner and two bathrooms. Below the main accommodation is a self-contained two bedroom apartment. Viewing recommended. Pcm Estate Agents are delighted to offer for sale an opportunity to secure this individually designed three bedroom, detached house situated in this highly sought after location with access to roads leading to both the nearby village of Pett, the countryside and Hastings town centre with its comprehensive range of shopping, sporting, recreational facilities, mainline railway station, seafront and promenade. The property offers well thought out accommodation arranged over two floors, comprising three bedrooms, the master with en-suite dressing room offering the potential to be converted back to a fourth bedroom, 28'5 superb kitchen/diner with wood burning stove, lounge with open fire, downstairs cloakroom and wc, utility porch, conservatory, family bathroom and wc. Outside to the front are gardens providing off road parking for multiple vehicles and to the rear well proportioned gardens enjoying superb views over open countryside and with various sheds/outbuildings. Early viewing is considered essential for those seeking a character home in this much sought after location. Call the owners agents now on to book your immediate viewing to avoid disappointment. The property has the benefit outline planning permission for a 2 storey side extension under planning reference number rr/2017/798/P. 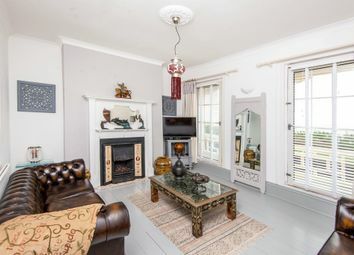 Double glazed bay window to front aspect, double glazed window to side aspect, feature fire surround with tiled inset with open fire and tiled hearth, radiator, return door to hallway. Double glazed window to side aspect, pedestal wash hand basin with tiled splash back. Low level wc, under stairs storage cupboard, heated towel rail/radiator, inset ceiling spotlighting, tiled floor, return door to hallway. Double glazed to three sides, tiled floor, plumbing for washing machine, part double glazed door opening to side garden. Part glazed, part glazed double doors opening to rear garden. Double glazed window to front aspect, velux window to front aspect, radiator, wall light points, airing cupboard with wall mounted gas boiler, trap hatch to loft space, built in cupboard. Double glazed window to rear aspect enjoying superb views over open countryside, radiator, return door to landing. Double glazed window to rear aspect, part tiled and part panelled walls, white suite comprising panelled bath with over bath shower and fitted shower screen plus mixer spray attachment, pedestal wash hand basin, high flush wc, heated towel rail/radiator, inset ceiling spotlighting, return door to landing. Trees and shrubs, gates to front providing access to off road parking for multiple vehicles. Good sized raised area of decking enjoying superb views over open countryside to the rear, exterior light, steps down to garden on a good size, laid principally to lawns, trees, shrubs, flowerbeds, further area of decking providing a good seating area also enjoying the aforementioned views. There is a side area of garden to one side with a patio, wood store, side access gate. To another side there is a large shed and brick built outbuilding. 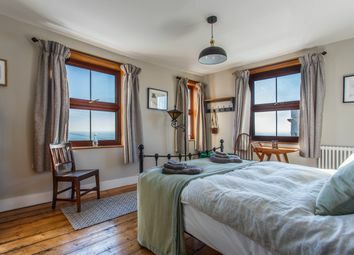 Simply a Victorian classic, located in an elevated position with excellent views to the English channel on the West Hill of Hastings. This spacious three bedroom end of terrace property exemplifies quality and creates a desirable home. Offered chain free. 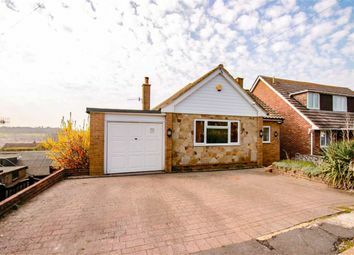 This light and airy detached bungalow is set back from the road and ideally positioned within the Claverham catchment area giving easy access to Battle High Street and Railway station. 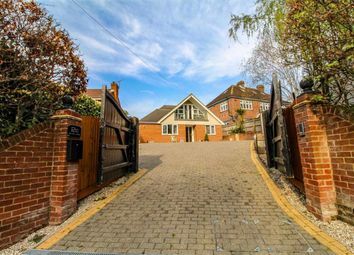 Accessed via a large entrance hall, the accommodation here enjoys a front aspect living room and a dining area which is open to the modern fitted kitchen. There is also a handy utility room, a study and access to the integral garage. There are three well proportioned bedrooms one having an en-suite W.C and another having a double shower cubicle, there is also a family bathroom. The covered sunroom overlooking the mature rear gardens which are a particular feature here with different seating areas designed to follow the sun. To the front there is a driveway providing ample off road parking and leading to the garage. 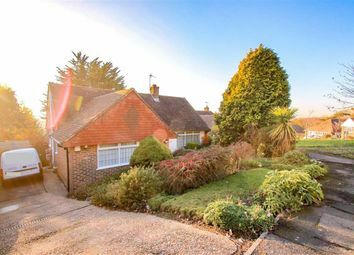 A detached chalet house with versatile accommodation in A village location. 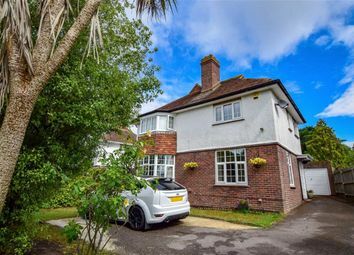 This spacious detached home offers good sized rooms and is set in the beautiful Fairlight Village. 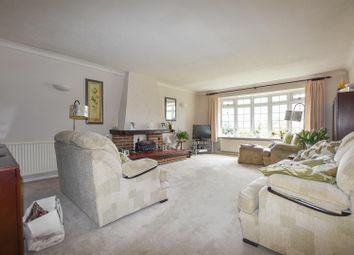 The property comprises an entrance hall, wet room/WC and a spacious living room/dining room. There is a door from the dining area into the conservatory and a serving opening into the kitchen which has a recently installed boiler and a is fitted with a range of base and wall units. The former garage has been converted to create bedroom 4. From the first floor landing there are three bedrooms and a shower room/WC plus there are far reaching viewings to the front. There are front and rear gardens and off road parking for four/five vehicles. Internal viewings are highly recommended to fully appreciate all that this property has to offer. Awaiting EPC. Enviably position on the view side of Winchelsea Lane benefiting from far reaching views over countryside is this individual detached three bedroom house with accommodation arranged over two floors comprising entrance hall, downstairs cloakroom, lounge/dining room, kitchen/breakfast room, upstairs three double bedrooms, the master having fitted wardrobes and a luxury en suite shower room, and family bathroom. 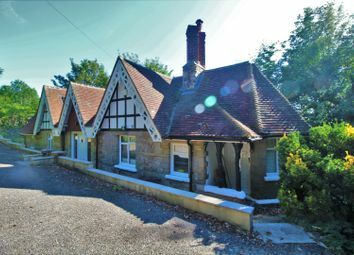 A particular feature of this property is the rear garden which benefits from outstanding views over adjoining countrywide, Further benefits include gas central heating, double glazing, block paved driveway to the front and its location is considered to be within reach of bus routes that give access to Hastings Town Centre with its comprehensive range of shopping, sporting, recreational facilities, mainline railway station, seafront and promenade, whilst also being within reach of the amenities found at nearby Ore Village. Early viewing is considered essential to appreciate this stunning home, call now on to book your appointment to view. Staircase rising to upper floor accommodation, radiator, tiled flooring, understairs storage cupboard, wall mounted thermostat control for central heating, coved ceiling. Low level wc, wash hand basin, tiled walls, tiled flooring, radiator, double glazed window with obscure glass to side aspect. Kitchen is fitted with a range of eye and base level cupboards and drawers with work surfaces over, four ring gas hob with extractor over, waist level oven and separate grill, inset 1 ½ bowl ceramic sink unit with mixer tap, space and plumbing for washing machine, tumble dryer and dishwasher, integrated fridge/freezer, wall mounted boiler, part tiled walls, tiled flooring, spotlights, wooden stable style door opening to side aspect giving access to front and rear of the property, double glazed window to the rear overlooking the garden with far reaching views over countryside. Airing cupboard housing immersion heater, hatch providing access to loft, coved ceiling, double glazed window to side and front aspects, both with obscure glass for privacy. Fully tiled flooring and walls, walk in shower enclosure with drench style shower head and further shower jets, concealed cistern, dual flush low level wc, vanity enclosed wash hand basin, built in storage, ceiling lantern, spotlights, double glazed window to rear aspect with views over the garden and far reaching views over countryside. Coved ceiling, radiator, fitted wardrobes, double glazed window to front aspect. Built in wardrobes with mirrored sliding doors, radiator, double glazed window to rear aspect with views over the garden and far reaching countryside views. Corner bath with Victorian style mixer taps and shower attachment, walk in shower enclosure with electric shower, pedestal wash hand basin, low level wc, heated towel rail, fully tiled walls, tiled flooring, double glazed window to side aspect with obscure glass for privacy. Block paved driveway providing off road parking for numerous vehicles, steps down to front door which is located to the side of the property. Simply stunning three bedroom detached house, located in favoured spot of St Leonards. 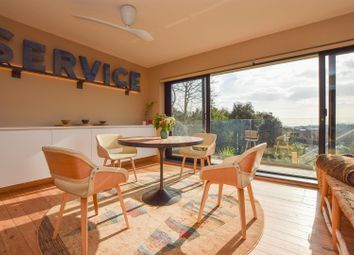 The open plan kitchen and living space is a particular feature here, with a wood burning stove and large sliding doors out to the rear garden framing unrivalled views across the neighbouring area and the English Channel, its the perfect place to unwind and watch the sun set. The sleek and contemporary fitted kitchen features built-in appliances and a door out to the side access. There are two double bedrooms sat on the first floor served by two generous bathrooms whilst the third bedroom is found on the ground floor along with a handy cloakroom. The rear garden enjoys a raised deck with smart glass balustrades to make the most of the stunning outlook, there is also an expanse of lawn bordered by shrubs and trees. 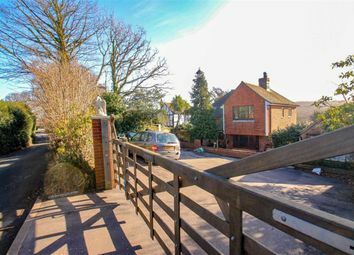 To the front there is a driveway providing off road parking for several vehicles leading to a detached garage. Pcm Estate Agents are delighted to offer for sale an opportunity to secure this superbly presented three double bedroom detached home having been the subject to improvements by the present vendor and presented for sale in excellent decorativ order with benefits including gas central heating, double glazing, lounge plus good sized dining room and kitchen/breakfast room, downstairs cloakroom and wc, en-suite shower room to master bedroom, further modern family bathroom and wc and gardens to the front offering off-road parking for multiple vehicles plus garage and superbly proportioned and beautifully landscaped gardens to the rear that must be viewed to be appreciated. 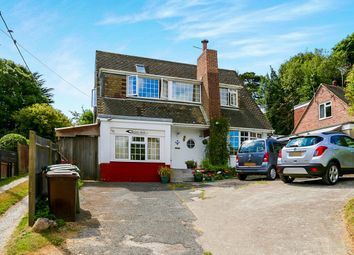 The property is located within reach of local shopping facilities, local school and bus routes to Hastings town centre with it's comprehensive range of shopping, sporting, recreational facilities, mainline railway station, seafront and promenade. The only way to truly appreciate this beautifully presented home is to arrange an immediate viewing via the owners agents on . Call now to avoid disappointment. Situated in this highly sought after location is this superb individually designed detached three bedroom, two bathroom, chalet bungalow behind a secure gated entrance enjoying benefits including gas central heating, double glazing, living room/kitchen/diner with integrated appliances and large double glazed patio doors opening onto landscaped rear gardens, ground floor bedrooms plus bathroom and wc, first floor bedroom with balcony, shower room and wc, off road parking for multiple vehicles, and superbly landscaped gardens to the rear which must be viewed to be appreciated. 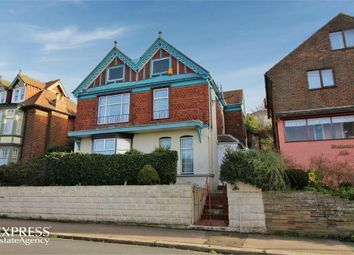 The property is situated within reach of the picturesque alexandra park, local schools and bus routes to Hastings town centre with its comprehensive range of shopping, sporting, recreational facilities, mainline railway station, seafront and promenade. The only way to truly appreciate this stunning individual home is to arrange an immediate viewing via the owners agents on . Call now and without delay to avoid disappointment. Double glazed windows to rear aspect, electrically powered velux windows to rear aspect, contemporary style wall radiator, staircase rising to upper floor accommodation, further radiator, kitchen area with part tiled walls, inset 1 ½ bowl sin, range of modern cotemporary style high gloss base units comprising cupboards and drawers set beneath working surfaces, matching wall units over, under cupboard lighting, integrated dishwasher, integrated fridge/freezer, integrated washing machine, Baumatic induction hob with contemporary style cooker hood over set into island unit with cupboards and drawers set beneath, stainless steel integrated oven, stainless steel integrated microwave, inset ceiling spotlighting, double glazed sliding patio doors opening to rear garden, return door to hallway. Double glazed bay window to front aspect, built in wardrobe, inset ceiling spotlighting, radiator, return door to hallway. Double glazed window to front aspect, radiator, inset ceiling spotlighting, return door to hallway. Double glazed window to side aspect, tiled walls, modern white contemporary style suite comprising panelled bath with mixer spray attachment, tiled shower cubicle with rain waterfall shower and mixer spray attachment, wash hand basin set into vanity unit beneath with mixer tap over, low level wc, heated towel rail/radiator, inset ceiling spotlighting, return door to hallway. To front aspect, glass and balustrade, decked floor, overlooking the front garden. Double glazed window to side aspect, tiled walls, tiled double shower cubicle with rain waterfall shower and mixer spray attachment, wash hand basin set into vanity unit beneath with mixer tap over, low level wc, heated towel rail/radiator, inset ceiling spotlighting, return door to hallway. Good size patio area which extends to the side of the property also, outside power points, exterior lighting, steps up to high level of garden which is arranged on decking with raised flowerbeds and shrubs, side access. Situated on the northern outskirts of the town is this superb, three bedroom, detached house enjoying benefits including gas central heating, double glazing, off-road parking for multiple vehicles plus garage and a particular feature of this home are the large excellent gardens to the rear which must be viewed to be appreciated. Situated on roads providing access to the nearby village of Westfield and Hastings and St Leonard's town centre's with their comprehensive range of shopping, sporting, recreational facilities, mainline railway station, seafront and promenade. Early viewing is considered essential for those seeking a home in this much sought after location and discerning purchasers are urged to call the owners agents now on to book their immediate viewing to avoid disappointment. Chain-free. 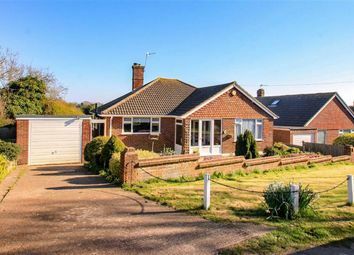 Having undergone extensive refurbishment by the present owners, we are pleased to offer for sale this exceptionally well presented three double bedroom bungalow, ideally located in the desirable village of Fairlight close to the popular Hastings Country Park. The property is bright and well proportioned throughout and has versatile accommodation currently arranged as three double bedrooms, modern fitted bathroom, spacious entrance hallway and a modern open plan style living area which blends the kitchen, dining room and living room together. In addition there is a utility room, well established private rear gardens and a double driveway with a single garage. Viewing is highly recommended by the vendors sole agents. Double glazed door to entrance vestibule. Door to spacious entrance hallway with thermostat controls for heating, telephone point, loft hatch, fitted smoke alarm and radiator. Enjoying a pleasant outlook onto the garden with tv point, radiator, alcove and sliding patio doors leading out onto the patio. Modern fitted cream units with solid wood work surfaces, single drainer sink unit, range of floor and wall mounted storage cupboards, integrated fridge freezer, fitted oven with gas hob, part tiling to walls, tiled flooring and window with an outlook to the side. Pleasant outlook to the front of the property with radiator. Main family bathroom comprising of a modern white suite with panel bath having chrome mixer taps and shower attachment over, fitted shower screen, part wood panelling to walls, low level WC, wash hand basin with cupboards under, radiator and fitted extractor fan. Space and plumbing for washing machine with double glazed door leading out to the side. The rear garden is well established with a good sized block paved patio, timber built garden shed, gated side access to both sides, area of decking with a summer house and is screened by wood panel fencing. Access via a door from the driveway, there is an undercroft which can be used as storage. There is a double driveway to both side of the property, one leading to a single garage having personal rear access door. We must inform you that the vendor of this property is an employee of Wyatt Hughes Ltd.
Enviably positioned in one of the most sought after locations of Hastings clive vale tucked away in this secluded and private spot is this detached three bedroom bungalow with spacious accommodation and lovely views to the rear. Accommodation comprises entrance porch, hallway, living room, conservatory with views over the garden and towards the sea, kitchen/dining room, utility room, three double bedrooms, bathroom and separate WC. The property also has a detached garage with an electric up-and-over door and two driveways to the front providing off road parking for numerous vehicles. 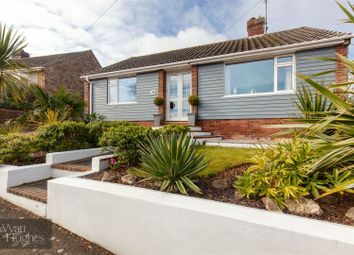 The delightful feature of this bungalow is its well cultivated rear garden which is well stocked with a variety of plants, shrubs and patio areas for entertaining. Further benefits include gas central heating and double glazing and is considered to be in excellent decorative order throughout. A viewing is considered a must to appreciate the full merits of this unique and individually designed bunaglow. Please call the owners agents now on to book your immediate viewing to avoid disappointment. Coved ceiling, wood flooring, double radiator, fireplace, television point, double glazed window to side aspect, double glazed sliding patio doors opening onto conservatory, door to kitchen. Space and plumbing for washing machine and tumble dryer set beneath kitchen work surface, additional storage cupboard, fitted with concealed wall mounted boiler, tile effect laminate flooring, consumer unit concealed in cupboard, double glazed window opening to side giving access to front and rear gardens. Part brick construction, tiled flooring, wall lighting, double glazed windows to both side aspect, views over the garden and towards the sea, double glazed sliding patio doors opening onto rear garden. Coved ceiling, fitted wardrobes, double radiator, double glazed window to rear aspect with pleasant views over the garden. Coved ceiling, double radiator, double glazed window to front aspect, pleasant views over the garden. Coved ceiling, double radiator, double glazed window to side aspect. Tiled enclosed bath with mixer tap and shower over bah, bath shower screen, concealed cistern, low level wc, vanity enclosed wash hand basin, tiled walls, tiled effect vinyl flooring, radiator, double glazed window with patterned glass to rear aspect for privacy. Low level wc, wash hand basin, tiled walls, ceiling extractor, borrowed light window into bathroom. Landscape front garden with a slanting area with plants and shrubs, pathway to side, outside water tap, pathway to front which provides off road parking for numerous vehicles with access to a detached single garage. Power and light, electric up-and-over door, double glazed window and door to rear aspect looking into and opening onto garden. Well cultivated and mainly laid to lawn with good sized patio for entertaining, plant and shrub borders, wooden shed - 9'9 x 8'1, further wooden shed set behind fenced boundaries. Pcm Estate Agents are proud to present to the market this well presented and individual detached chalet style bungalow with well proportioned accommodation arranged over two floors comprising spacious entrance hall, triple aspect lounge with views over garden towards the sea and beachy head, kitchen/;breakfast room, sun room, two ground floor bedrooms, bathroom, separate WC, first floor spacious landing, master bedroom and shower room. Outside to the front the property has well kept gardens with a driveway to the side providing off road parking for numerous vehicles, whilst to the rear there is a well cultivated and well proportioned garden with several areas of lawn, concrete patio, raised decked area and pleasant views towards the sea and Beachy Head. 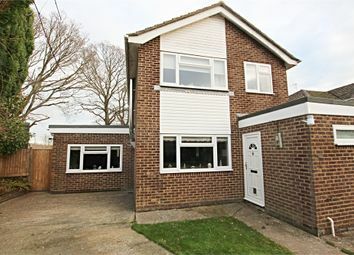 The property also has the benefit of having gas fired central heating and double glazing and a garage located in block to the rear of the property. The property is conveniently located within reach of bus routes that give access to Hastings Town Centre with its comprehensive range of shopping, sporting, recreational facilities, mainline railway station, seafront and promenade. 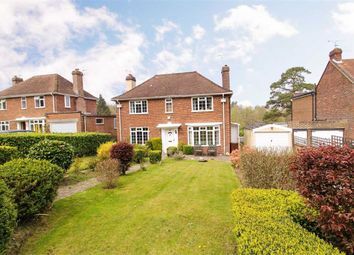 The property is also within reach of the amenities located within St Leonards and the popular schooling establishments. Please call the owners agents now on to book your appointment to view to avoid disappointment. 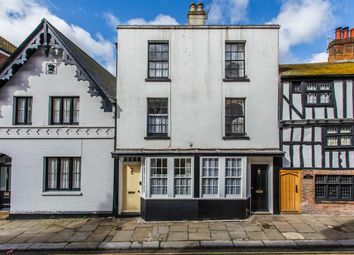 Once a Grocers, this late Georgian Grade II listed three bedroom, three storey cottage of much charm and character is situated in the midst of the historic old town quarter close to the fishing harbour and having a colourful patio garden.